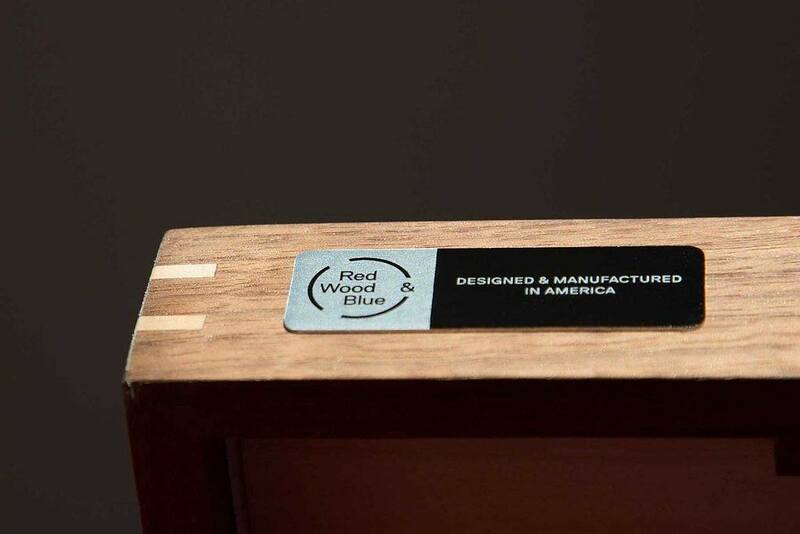 Have your games and play them, too, with the Cricket Darts Wooden Dart Board by Red Wood and Blue. Unlike the traditional dart board, this set is designed to remain on display and fit in with all of your décor both in your home or office. 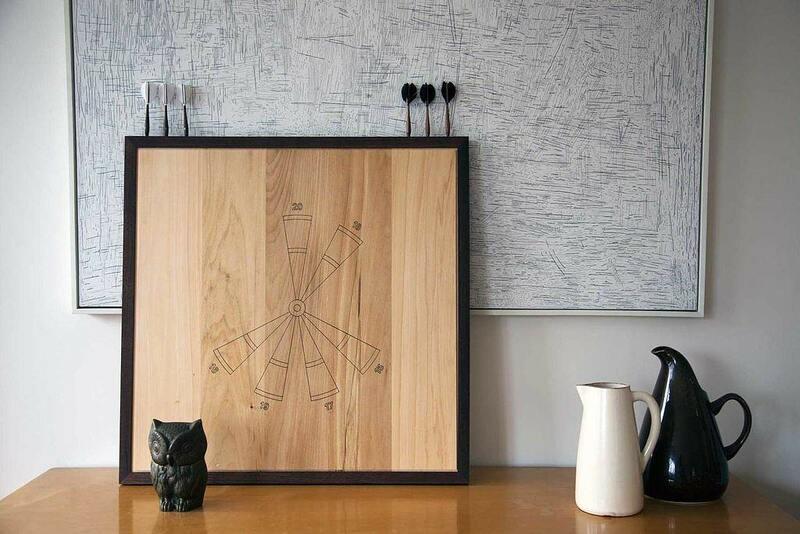 This specific dart board is for Cricket Darts and is so incredibly unique that it has its own patent. 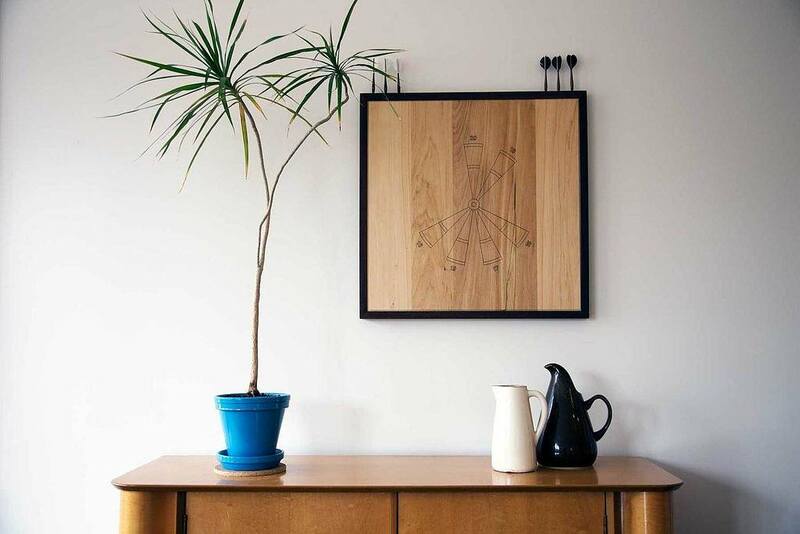 The limited first edition of the Cricket Dart Board has just 100 pieces. 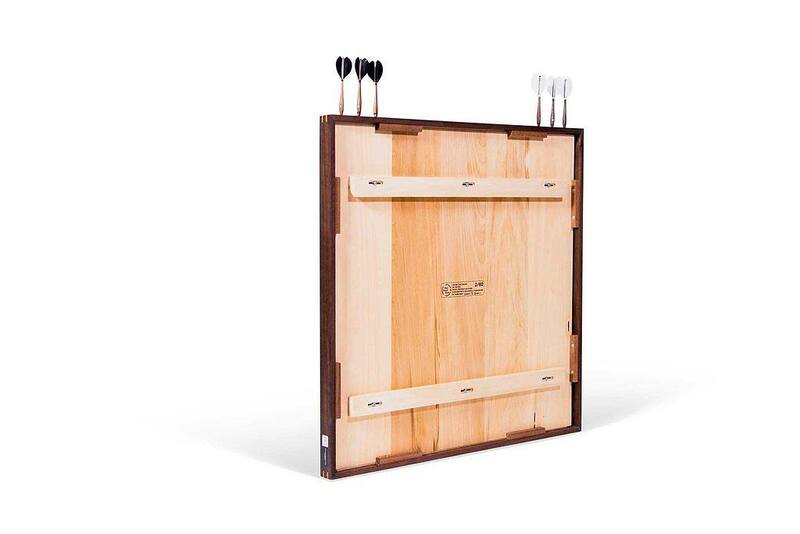 The dart board features hand-selected American walnut wood for the frame and basswood for the board. 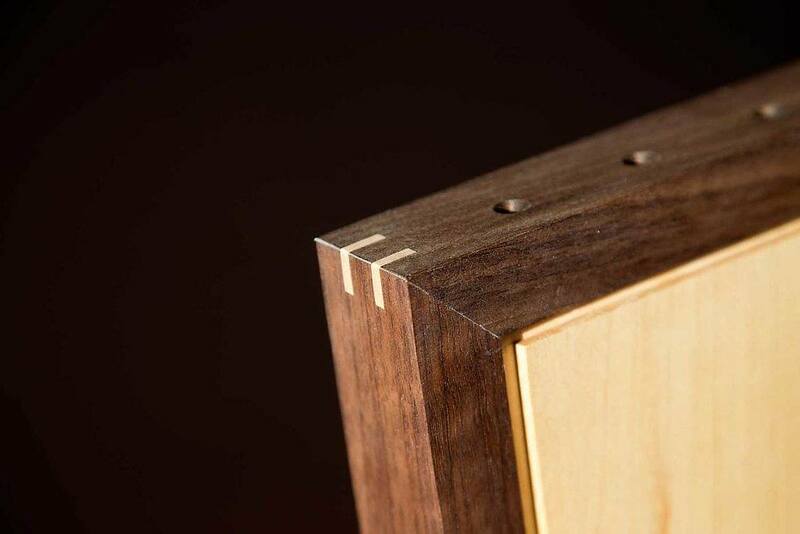 Each delineation on the board has been laser etched into the wood in order to retain the natural design. 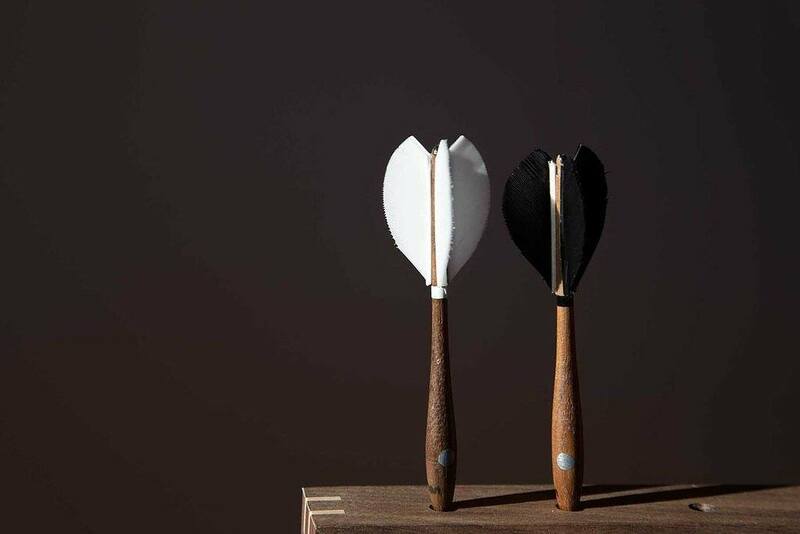 Included with the Cricket Dart Board is a set of handmade darts made with smooth walnut and real turkey feathers.